The next three games that Real Madrid got scheduled with for the upcoming 8 days, will have the particularity of always having Valencia as their opponent. Two of those will be for the Spanish Copa del Rey, while the one taking place this weekend will be counting for La Liga. 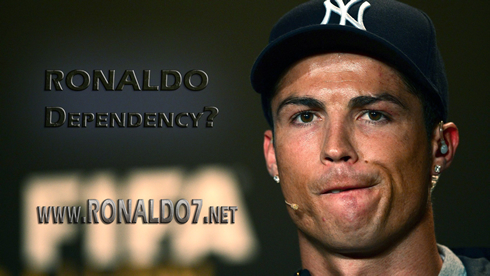 Is it safe to assume we can expect to see a two-faced Real Madrid in the cup and league games from now on? At this point of the season, having in mind the huge gap between Barcelona and Real Madrid at the top of the Spanish League standings, few are the fans that can still hold legitimate hopes to believe that the Merengues might still have a word left to say in La Liga's title fight. With the domestic league aspirations basically crushed, José Mourinho's men will most likely set their focus at the Copa del Rey fixtures, as well as in the Champions League tie against Manchester United, scheduled for February 13 and March 5. For now, there's an always dangerous side called Valencia CF right around the corner, who will attempt to capitalize on Real Madrid's bumpy form. Real Madrid appear to be strong favorites to advance into the Spanish Copa del Rey semi-finals, with the odds set at 1.15 for the Merengues suggesting that there won't be much room for surprises. As for the Spanish League encounter against the same Valencia side and which is to be played at the Mestalla this Sunday, it seems we'll have a whole different story ahead of us, with the home side paying 4.5€ for each euro gambled, and the Spanish champions yielding 1.70€ on every euro on the line. Our most wild guess would be Cristiano Ronaldo scoring an hat-trick this Tuesday night, which has an appealing payoff of 5.75. Valencia might have finished 3rd in La Liga last season, but this year, things haven't been going that smoothly for Ernesto Valverde's men. The "Che" are currently ranked 7th in the league and are precisely 7 points below Real Madrid. They have been struggling a lot to score goals when playing away from home (only 5 goals so far), especially if we have in mind that they have already scored in 22 occasions when playing at the Mestalla. Real Madrid can surely expect at least two very intense games at their opponent's field, especially if José Mourinho decides to rotate some key players for the league fixture this weekend. Cristiano Ronaldo will be back from his 1-game suspension after being shown 5 yellow cards in the Spanish League and will certainly look forward to extend his superb form in 2013, where he has already scored 5 goals out of 2 games played so far. Mesut Ozil and Karim Benzema are also expected to return to the team's line-up this Tuesday night, even though Gonzalo Higuaín has already started to get some playing minutes in recent games, after having recovered from an injury. Even though Real Madrid managed to keep a clean sheet in their last two games, the Merengues' defence will continue relying on several 2nd choices. The absences of players like Pepe and Sergio Ramos are guaranteed at this point, while Marcelo is still looking to gradually return to competition. In the other hand, Fábio Coentrão has proved to be in good shape in last Saturday's game against Osasuna, which will allow Mourinho to release Arbeloa to his natural position as right-back, and probably pick Varane and Ricardo Carvalho (or Raúl Albiol) as the center defenders. 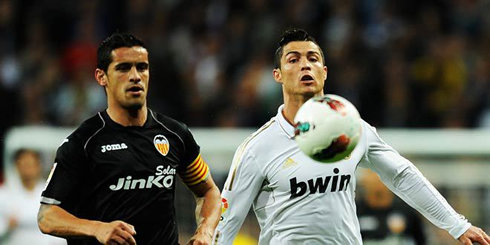 Cristiano Ronaldo's next game for Real Madrid will be against Valencia, for the Copa del Rey, on January 15, 2013. You can watch Juventus live stream, Real Madrid vs Valencia live, Barcelona vs Malaga, Manchester United vs West Ham and Arsenal vs Swansea, all matches provided from our live football section.